Argentina: Combining the mountain views with the water systems, travelers will get to visit Mendoza, an oasis that thrives off of the Andes glacier waters. Peru: Do those mountain ranges you see on your TV screen give you wanderlust to see even more? 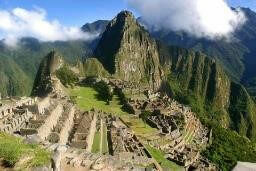 When you travel to Peru, you’ll take an exquisite hike to Machu Picchu. This ancient citadel sits on top of mountain ridge, where tours will observe the most gorgeous sunrise while there. Colombia: More mountains? More scenery! While visiting a coffee plantation, you will take in the lush mountain ranges that surround you. Why hesitate? If you like what you’re seeing when you tune into the games, you’ll love to take in South America in person!